Photo of: East Coast of Ireland: Meath: Knowth. 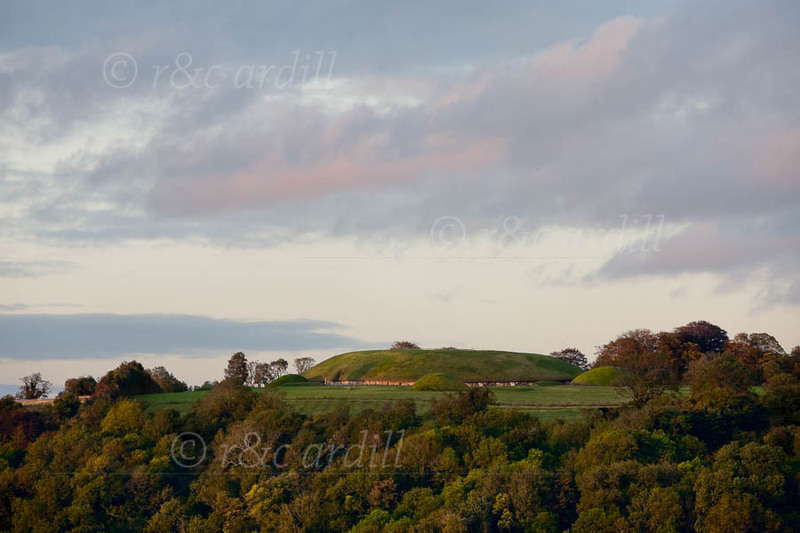 A view of the Knowth neolithic passage tomb taken from across the Boyne valley on an Autumn sunset. Knowth is the second largest passage tomb in the Bru na Boinne neolithic complex, with Newgrange being the largest and Dowth the third largest. There are a large number of passage tombs in the area, some of which can be seen surrounding the main burial chamber in this image. Bru na Boinne, with Newgrange, Knowth and Dowth and the other neolithic remains, is a World Heritage Site ... and also a site of great beauty, situated as it is in the Boyne valley with its rolling hills and river.